- Protection against Malware: F-Secure Internet Security will scan any suspicious program and will alert us in case it detect any threats. 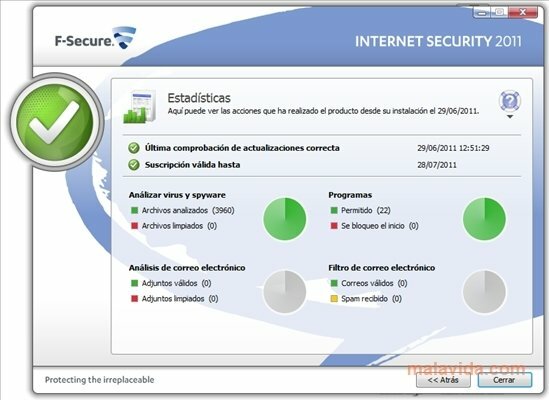 - AntiSpyware: This system will avoid that the hackers can gain our personal information. 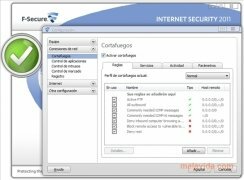 - Protection system for electronic mail: Our emails are more secure thanks to the anti-SPAM system and anti-phishing, thus also protecting our identity against possible thefts. 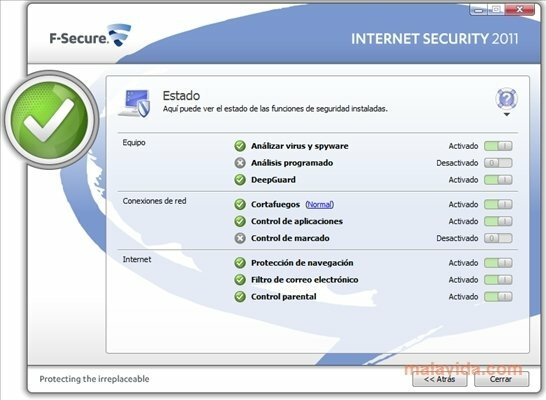 - Parental control: Avoid that the younger members of the house enter websites that aren't apt for them thanks to the F-Secure Internet Security user system. 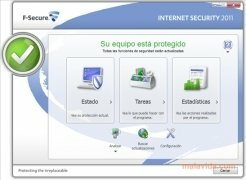 You no longer have any excuse to not be protected from threats from Internet, thanks to the this complete protection suite that will stop threats. The trial vesion can be used during 30 days. This download requires an Internet connection for the installation.